Since its foundation, ERIC has coordinated, managed or participated to various EU projects. About 10% of the ERIC incomes derives from direct contracts with companies or Institutions to perform R&D activities or studies to explore the potentialities of specific areas. Industrial and European projects require a great effort to write the proposal and manage the same projects, allowing your Organization to finish on time, within budget and delivering all that was expected. The increasing competition at European level, most of the time, make a proposal successful or rejected by the fraction of a point. Writing a good proposal, strictly within the terms given by the funding authority, and capable of telling a “story” to the evaluator, giving the big picture, the real advantages and the unique features of that very proposal, is often the key for being financed. In Industrial production, companies are challenged to provide products and services in a more timely, efficient manner while at the same time assuring quality and customer satisfaction. 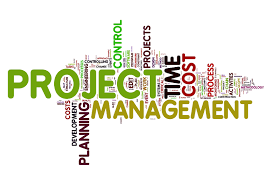 Effective and practical project management practices are essential to addressing these challenges. ERIC consultants have project management experience both within European and Publicly funded projects as well as within the chemical processes. ERIC also provides services to independently assess project status and to assess the value of the Intellectual Property deriving from a project.